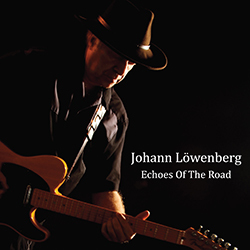 Johann Löwenberg returns with Echoes of the Road his third studio album, available June 20th 2016. Löwenberg jumped at the chance to work with producer extraordinaire Andreas Schuld of Vancouver B.C. “It was a thrill to work with such an accomplished musician/arranger” says Löwenberg, adding that “we have become great friends in the process”. Echoes of the Road has songs that will take you for a ride through the back roads of time.